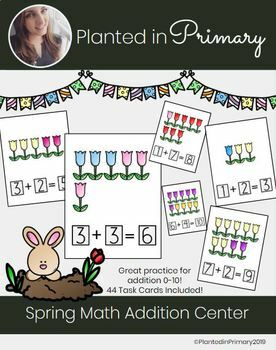 This resource can be used to practice the skill of writing addition equations to Kindergarten or First Grade students. It features 44 task cards for students to practice addition equations from 0 to 10. This resource would be best utilized in math centers or as a small group activity.